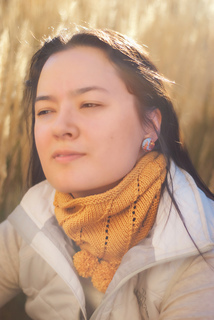 Soft, hand washable yarn takes center stage in this cowl. 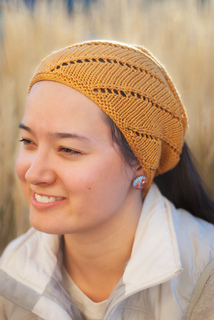 Its fitted size requires less than 125 yds of DK weight yarn and can double as a headband or ear warmer. 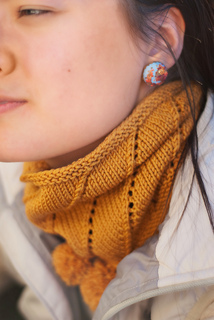 The bold diagonal lines of this stitch pattern are perfect for the new lace knitter and add just enough spice to entertain the experienced knitter churning out last minute gifts. Scroll down the pages to get the pattern in the linked PDF file.